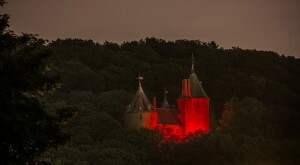 Castell Coch © Cadw, Welsh Government (Crown Copyright), all rights reserved. The Poppy Appeal 2016 launched in Wales today by turning the country’s castles and landmarks red. 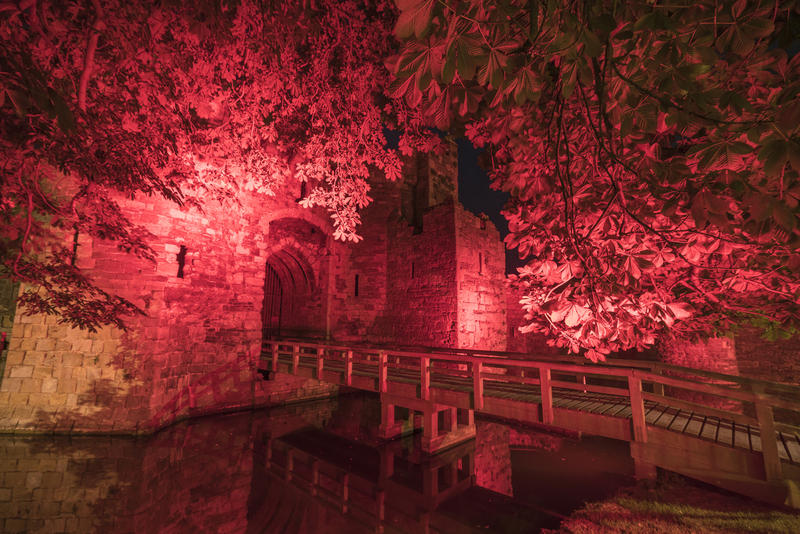 The Legion is working in partnership with Cadw and the guardians of other historic and popular landmarks to illuminate more than 30 buildings from Criccieth to Cardiff Bay. The official launch took place at Llandaff Cathedral, Cardiff, on Friday, 28 October, when Antony Metcalfe, the Legion’s Area Manager Wales, joined Falklands and Northern Ireland veteran Andy Davies, Poppy Appeal volunteer fundraisers, serving members of the Armed Forces and the dean of Llandaff, The Very Reverend Gerwyn Capon, to witness the switch on. This year the Royal British Legion is encouraging people to ‘rethink Remembrance’ during the Poppy Appeal 2016. The poppy and the work of the Legion are often associated with the First and Second World Wars and elderly veterans; however the charity is calling on the public to consider all generations of the Armed Forces community when they wear their poppy. Antony Metcalfe, Wales Area Manager, said: “We are grateful to Llandaff Cathedral, Cadw and everyone involved in turning Wales red. This is a real opportunity to make a uniquely Welsh statement. “During the Poppy Appeal this year we’re asking people to widen their lens when they reflect on Remembrance. The Legion is here for all generations of the Armed Forces community, and it’s important to remember there’s a new generation that needs your support. Beaumaris © Cadw, Welsh Government (Crown Copyright), all rights reserved. The fundraising target in Wales is £2 million, which will go towards the Legion’s national target of £43 million to continue its vital work delivering practical, through life care and support to the Armed Forces community. Andy Davies, 54, originally from North Wales but now studying at Cardiff University, was supported by the Poppy Appeal when he struggled to cope after serving with the RAF as an aviation engineer for 16 years. Chronically addicted to alcohol, he lost his job, his wife, his family and ended up living on the streets and then in prison. The Legion helped him get his life back on track by providing one months’ rent and a deposit on a place to live when he left prison. He is now studying for his PGCE at Cardiff University and spent the summer teaching English to international students. The buildings will remain illuminated until Remembrance Sunday November 13 as a mark of respect to commemorate the 100th anniversary of Battle of the Somme and the 4,000 men from The 38th (Welsh) Division who were killed or injured in the most intense and bloody battle fighting by a Welsh Division during the First World War at Mametz Wood on 7th July 1916.